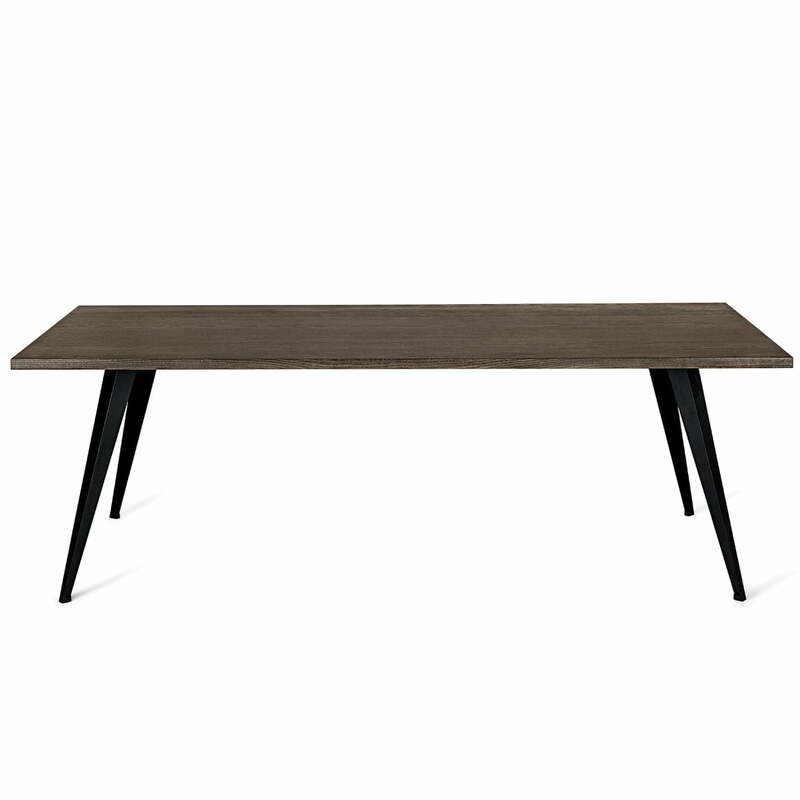 The Lignia Dining Table by Mater is a timeless design table with a sharp profile by designer Ayush Kasliwal. Its four solid steel legs hold the strong wooden table top and make the table to a high quality and durable furniture. For centuries, wood is appreciated for its beauty and stability, but the demand for premium wood has an enormous impact on the natural resources of our forests. Today, many types of wood are nearly extinct and overexploited. With the Lignia wood, Mater has found a way to establish premium woods from FSC certified plantation timber, to conserve the natural resources of the forest. The production starts by dyeing the FSC timber in the desired colour with eco-friendly paint. The colour is mixed and diluted with specially collected rain water. After applying the colour, the wood is impregnated to keep the colour resistant. Afterwards, the wood panels are dried to bring them to the desired level of humidity which is suited best for further processing of the wood. 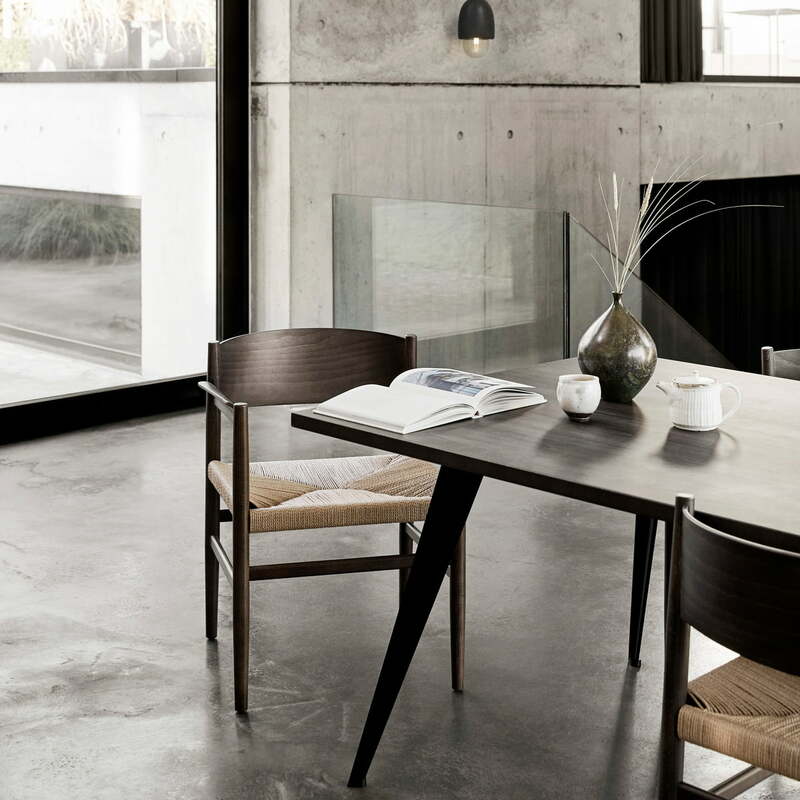 The Lignia Dining Table by Mater is available in the environmentally friendly Lignia wood from New Zealand or table top in FSC certified beech wood. To ensure the Mater table’s natural beauty, the manufactuer recommends to not put any hot cups, mugs or pots on the table top. Soap and other cleaning chemicals ought to be avoided for cleaning the table. The Dining Table by Mater is a timeless design table with a sharp profile by the designer Ayush Kasliwal. Its four steel legs support the solid wooden tabletop and result in a high-quality and long-lasting piece of furniture. The Lignia Dining Table by Mater is a timeless design object with a sharp profile, which has been reduced to the essentials. Its four solid steel legs hold the strong wooden table top and make the table a rigid and at the same time elegant design object. 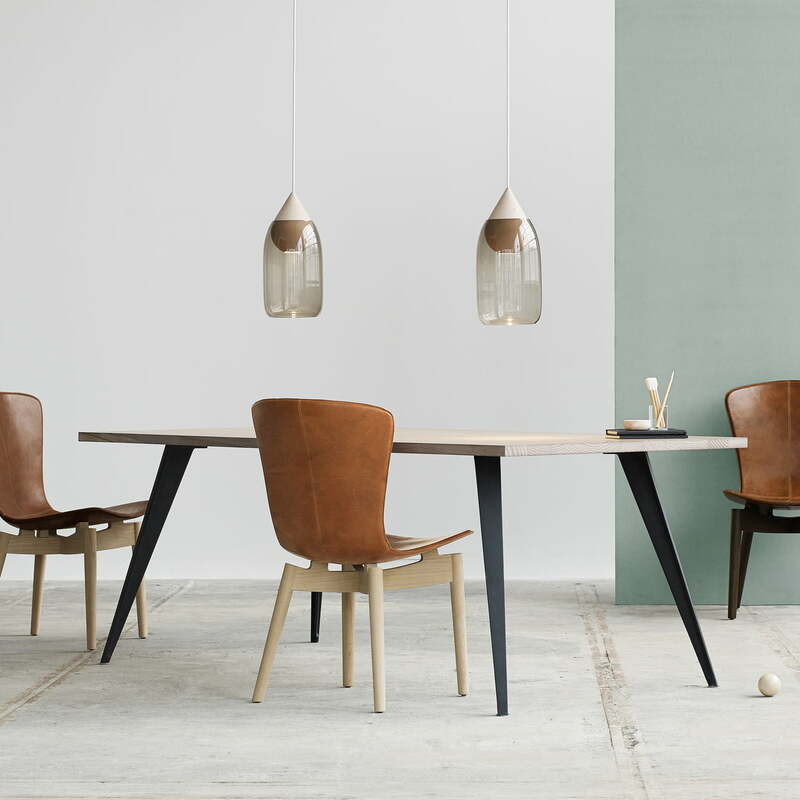 The Lignia Dining Table is made of the environmentally friendly Lignia wood and comes in an interesting connection with the Shell Dining Chair, whose wood is certified FSC.